Article: Profound Actor, Tyler Alvarez Shows His Acting Versatility In An Award Winning Show! Find Out Which One Here! From winning prestigious and honorable awards like a Screen Actors Guild Award, Primetime Emmy Awards, People’s Choice Awards, a Peabody Award and many, many more – to say the extraordinary show, “Orange Is The New Black” is an absolute sensation is truly an understatement. Well, one of everyone’s favorite actors – the stupendous, accomplished and incredibly talented, Tyler Alvarez continues to show his acting versatility as he takes on the role of Benito Mendoza in the third season of the internationally acclaimed show, “Orange Is The New Black”. Tyler Alvarez has won the hearts of fans and left everyone mesmerized with his magical role as Diego on Nickelodeon’s hit, top-ranked, TV show, “Every Witch Way”. Now, consummate actor, Tyler Alvarez continues to show how he can portray any role and do such a remarkable, fantastic, and exceptional job while doing so, as he portrayed the role of Benito Mendoza, the son of Gloria Mendoza in “Orange Is The New Black”. Tyler Alvarez’s impressive acting skills which he exhibits so effortlessly in all his projects continues to gain him more and more supportive fans as the milliseconds go by. 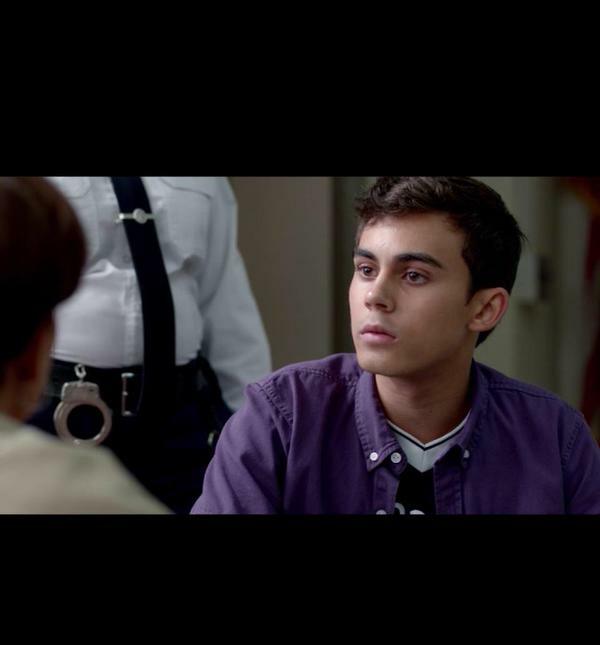 All “Orange Is The New Black” viewers cannot help but swoon over Tyler Alvarez’s role in the show. Tyler Alvarez shared the excellent photo above through his Twitter account and wrote, “It is awesome to be apart of the groundbreaking Netflix series #OrangeIsTheNewBlack. #OITNB #BenitoMendoza @OITNB“. Big congratulations to Tyler Alvarez on another phenomenal job in his latest project! Catch Tyler Alvarez in the season four premiere of “Every Witch Way” on Nickelodeon on July 6th! Previous Article: Nickelodeon And Heather Mitts Search For The Best Teen Female Soccer Player In Their “Soccer Superstar” Competition! Next Article: Walt Disney Animations Studios Invites Fans To Magical Presentations, Panels And Events At The D23 Expo!